DENVER, CO / ACCESSWIRE / January 16, 2019 / New Age Beverages Corporation (NASDAQ: NBEV), the Colorado and Utah-based organic and natural beverage company intending to become the world's leading healthy beverage company, today announced the signing of an agreement to develop and distribute Marley branded cannabis-infused beverages. New Age has developed a supply chain structure to meet what it forecasts to be a significant demand in 2019. New Age is implementing an brand awareness and in-store marketing plan beginning in the 2nd quarter with significant social, digital, and community building campaigns supporting the launch at retail. New Age will also utilize Leafly.com, the world's leading cannabis information resource, to target, advertise, and gain consumer insights and analytics to precison target all marketing and brand awareness activities. Michael Cunningham, Senior Vice President of Sales for New Age commented, "It makes my job a lot easier when I have retailers and distributors reaching out to me asking for specific products. From the moment the CBD movement began, I've been receiving calls nonstop asking when we'd be going to market with a Marley+CBD product. Retailers and distributors realize that it will be a long road for smaller CBD brands to gain traction and brand equity. 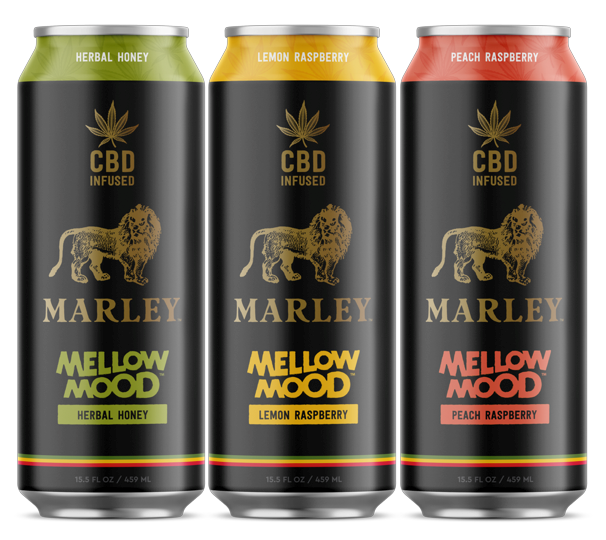 Under the Marley brand platform, we are able to leverage a massive global brand with ties to healthy cannabis use, to ultimately grow a beverage brand beyond anything we have seen to-date." New Age Beverages Corporation is a Colorado and Utah-based healthy beverage company dedicated to inspiring, educating consumers to live healthy. The Company is the only one-stop-shop of healthy beverages and includes the brands Tahitian Noni, TeMana, Búcha Live Kombucha, XingTea, Coco-Libre, Marley, and others. New Age competes in the growth segments of the >$1 trillion-dollar non-alcoholic beverage industry and has become one of the 40 largest non-alcoholic beverage companies, one of the largest healthy beverage companies, and the fastest growing in the world over the past two years. The Company's brands are sold across all 50 states within the US and in more than 60 countries internationally across all channels via a hybrid of direct-to-consumer and traditional distribution and route-to-market systems. This press release contains forward-looking statements that are made pursuant to the safe harbor provisions within the meaning of Section 27A of the Securities Act of 1933, as amended, and Section 21E of the Securities Exchange Act of 1934, as amended. Forward-looking statements are any statements that express the current beliefs and expectations of management, including but not limited to statements related to the Company's launch of Marley+CBD and Marley+CBD shot taking initial order, taking initial orders, shipments to major customers in key markets in the future, New Age's ability to develop a supply chain structure to meet significant demand in 2019, and complete in-store marketing beginning in the 2nd quarter with social, digital, and community campaigns supporting the launch at retail. Any statements contained herein that do not describe historical facts are forward-looking statements that are subject to risks and uncertainties that could cause actual results, performance and achievements to differ materially from those discussed in such forward-looking statements. The Company cautions readers not to place undue reliance on any forward-looking statements, which speak only as of the date they were made. The Company undertakes no obligation to update or revise forward-looking statements, except as otherwise required by law, whether as a result of new information, future events or otherwise.